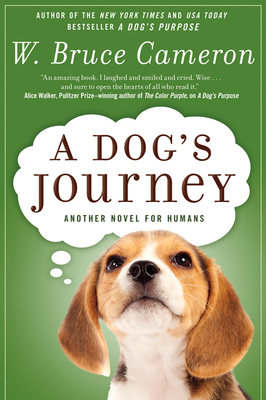 Audiences are invited along on A Dog's Journey, the next chapter of the beloved bestselling series by author W. Bruce Cameron. The family film told from the dog’s perspective serves as the much-anticipated follow-up to the soulful story of one devoted dog who finds the meaning of his own existence through the lives of the humans he teaches to laugh and love. After searching for his purpose through several eventful lives, Buddy is sure that he has found and fulfilled it. Yet as he watches curious baby Clarity get into dangerous mischief, he is certain that this little girl is very much in need of a dog of her own. When Buddy is reborn, he realizes that he has a new destiny. He's overjoyed when he is adopted by Clarity, now a vibrant but troubled teenager. When they are suddenly separated, Buddy despairs—who will take care of his girl? Directed by Gail Mancuso (TV’s Modern Family, Roseanne), A DOG’S JOURNEY is once again produced by Gavin Polone (A Dog’s Purpose, Zombieland). Mancuso directs from an adapted screenplay by Cameron & Cathryn Michon and Wally Wolodarsky & Maya Forbes, based on the book by Cameron. The film from Amblin Entertainment and Walden Media will be distributed by Universal Pictures. A charming and heartwarming story of hope and unending devotion, A Dog’s Journey is the moving story of unwavering loyalty and a love that crosses all barriers.